I'm one of those people who hates to listen to my voice. Oh, and I'm also allergic to speaking in public. 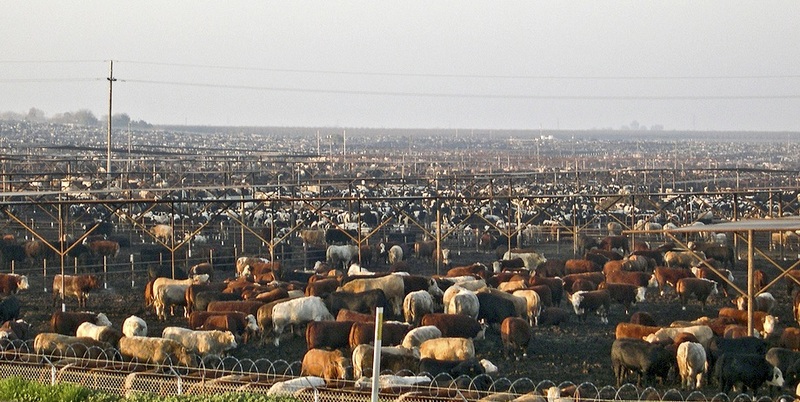 So when Organic Valley's Mission Ambassador, Theresa Marquez, asked if she could interview me about local agriculture for its Rootstock Radio podcast, I was, simultaneously, honored but completely terrified. 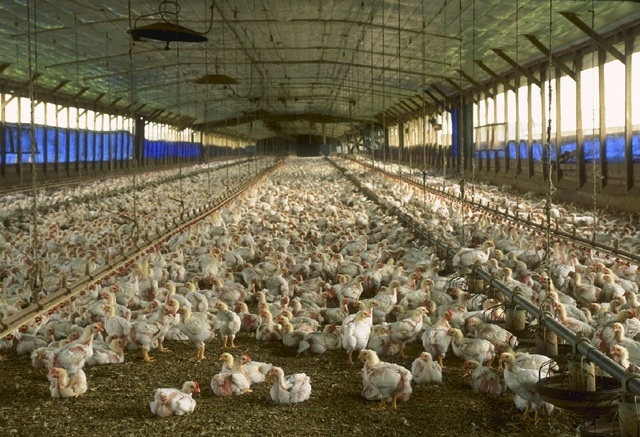 It didn't help to know that the podcast has featured some of the luminaries of the food movement, people like Dr. Joan Dye Gussow, Bob Scowcroft, Frances Moore Lappé, Anna Lappé, Temple Grandin, Fred Kirschenmann…the list goes on. According to its website, Rootstock Radio's mission is to be "a source for honest—yet personable—education amidst the rampant apathy, ignorance and, worse, denial about the true state of food and farming in our country today. As we face the plethora of rubber-stamped GMO releases, we need to amplify the hard truth with compassionate and honest voices, balancing the doom-and-gloom with solutions for contributing to a sustainable future." My husband is the baker in the family. Weekends will find him elbow-deep in dough, making six loaves of his dreamy sourdough bread every other week or whirring the processor, mixing light-as-air scones or biscuits. My bailiwick has traditionally been fruit crisps, cobblers or pies, but lately I've been drawn to cakes, excavating my old cake pans from under the pie plates, glass juicers and strainers stacked on top of them. This spate of activity started at Christmas, when I was looking for an appropriately festive dessert to take to my brother's for dinner. Going through my recipe box—remember those?—I came across my mother's Italian cream cake recipe that she'd inscribed on a blue-lined, three-inch by five-inch filing card, the pre-internet "app" we used for preserving our favorite recipes. 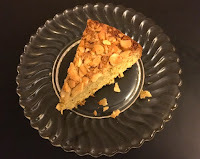 Awhile later my sister-in-law made a beautifully simple cardamom cake for a family birthday, its top browned and sprinkled with slivered almonds. When I begged for the recipe, I found out it had actually been baked upside-down in the cake pan, then inverted to reveal the browned, crisp crust. Brilliant! When Valentines Day came around shortly thereafter, I was able to pull out my cake pans and express my feelings for my family with this appropriately lovely dessert. I think they got the message! To make the topping, melt the butter. Pour it into a 9-inch round cake pan and let cool briefly. Sprinkle the teaspoon of sugar evenly over the melted butter, then add the almonds, tilting and shaking the pan to distribute them evenly. Set the pan aside. To make the cake, in a blender or a food processor pulverize the pistachios with the 1/4 cup flour until as finely ground as possible. Transfer to a small bowl. Crush the cardamom seeds in a mortar and pestle (or grind them in a spice grinder). Add the crushed seeds to the pistachio mixture and stir to combine. Set aside. In a stand mixer fitted with the paddle attachment (or in a bowl by hand), beat together the butter and sugar on medium speed until very light and fluffy, 3 to 5 minutes. Add the eggs one at a time, beating until completely incorporated. In a small bowl, whisk together the remaining 3/4 cup flour, baking powder, and salt, and stir it into the butter-egg mixture. Stir in the pistachio mixture just until combined. 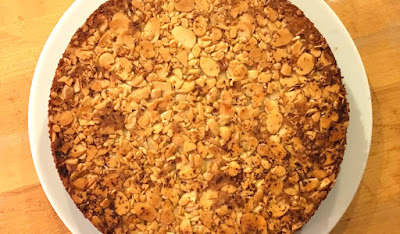 Spoon the batter into the prepared cake pan by dropping 4 or 5 mounds on top of the almonds. 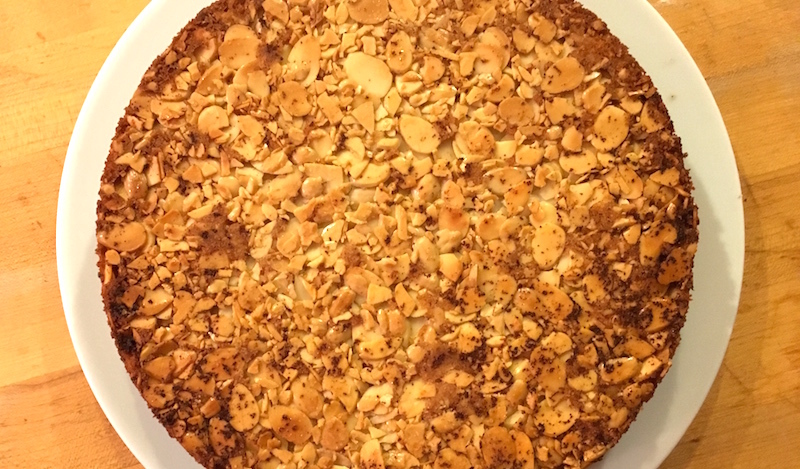 Carefully spread the batter into an even layer, trying not to disturb the almonds. Bake until a toothpick inserted in the center of the cake comes out clean, 30-40 minutes (start checking at 30 minutes). Let cool for 15 minutes. Run a knife around the sides of the cake to help loosen it from the pan. Invert the cake onto a serving plate. Let cool completely. 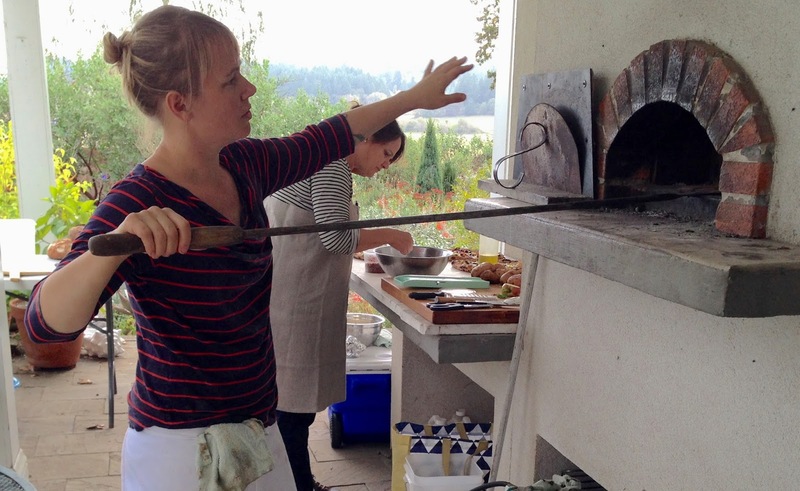 One chef at the Ayers Creek Farm tour held for its retail and restaurant customers summed it up nicely. "I wouldn't miss this for the world," he said, noting that not only is it one of the region's premier organic farms with a completely original, single-minded vision behind everything grown there, but "there's nowhere else can I talk with 150 other local chefs and restaurant people with the same approach to food." 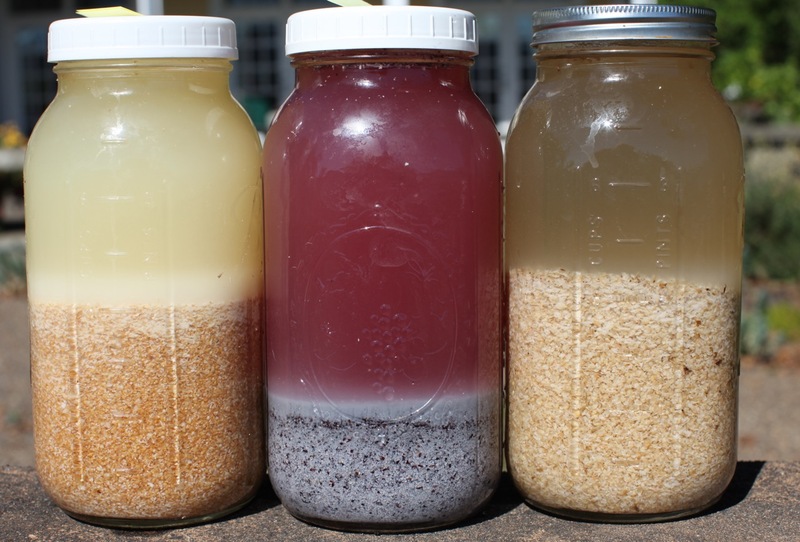 (l to r) Fermented wheat; Peace, No War purple corn; and barley. Romanian in origin, it takes just a couple of cups of ground grain—corn or barley are ideal—and a bit of salt to get it started. Mixed with warm water and left out at room temperature for four or five days, it results in a perfect stock for savory dishes. It adds the same body as a meat-based stocked with the added benefit of being much cheaper to make, plus it has the probiotic qualities common to fermented foods. Posole with fermented corn stock. 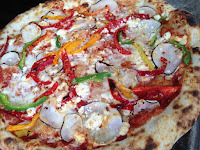 While a few folks had picked up the idea, Anthony felt another reminder might be required to put it on their front burners, so to speak, so he and the farm's chef, Linda Colwell, collaborated to come up with a menu based around this elixir. 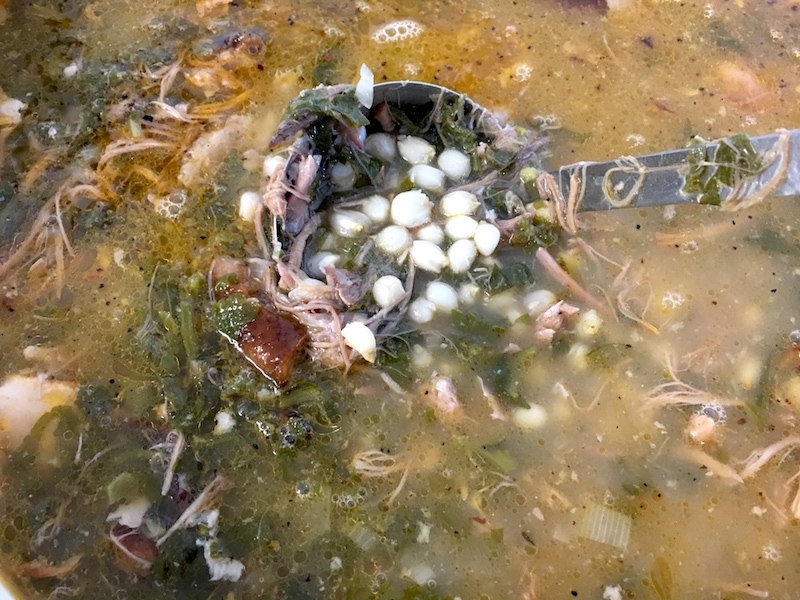 They chose an astonishing posole of pork shoulder rubbed with aci sivri chile oil and paste that was roasted and shredded; then added fermented grain stock from Peace, No War corn; hominy made from nixtamalized Amish Butter flint corn; and steamed borage and poppy leaves. A second soup was made from cardoons, slow-braised in butter along with potatoes and run through a food mill, then the pulp and fibers were combined with fermented barley stock. Its soft green color was tantalizing, and its flavor reminded me of the dill pickle soups that were popular a few ago. A third dish and, as a devotée of risotto, one I'm dying to try, is a risotto using fermented wheat stock. Linda brilliantly paired it with caramelized onions and the farm's Arch Cape chicory, which were stirred in just before serving. Sarah Minnick with Arch Cape chicory pizza. All this was put over the top by special guest chef Sarah Minnick of Lovely's Fifty-Fifty, who skillfully handled the farm's massive wood oven, pulling out pizza after pizza of her addictive sourdough crust topped with spears of Arch Cape chicory, green garlic and raw, organic cheeses from Cascadia Creamery in Trout Lake, Washington. Icing on the proverbial cake was a jostaberry kuchen made by farmer Myrtha Zierock—of which I managed to score a couple of pieces before it was demolished by the crowd. Thus fortified, Anthony and Carol trooped everyone out to the fields to survey the Arch Cape chicories marked for seed, plus mustard, wheat, favas and new breeding projects, some of which have already been years in development. Is it any wonder that their farm is one of my favorite places (and they are two of my favorite people) on the planet? Put the grain and salt in a two-quart mason jar. Add very warm water to fill past the shoulders of the jar. Secure with a lid (the plastic lids work great for this). Shake vigorously to combine. Loosen the lid to allow any developing gases to escape and leave on your kitchen counter for four or five days. Tighten the lid and shake two or three times a day, loosening the lid again after each shaking. Use like stock in soups, risottos, or any dish that requires a savory stock (see post, above). The James Beard awards are considered the Oscars of the food world. Yesterday one of Portland's most dedicated chefs—and one of my favorite people—Sarah Minnick of Lovely's Fifty-Fifty, was named a semi-finalist in the Best Chef NW category. Sarah was featured in an article I wrote in 2015 about women chefs who "are turning the tables on business-as-usual by nixing the giant cans of sauces, bags of salad greens and feedlot meats that supply most restaurants, even in the foodie heaven known as Portland. You won’t find big trucks from industrial food distributors pulling up to their doors and burly guys with pallet jacks and hand trucks wheeling crates of supplies shipped in from out of state. Instead, following in the footsteps of chefs like Cathy Whims of Nostrana, these women are working to buy their supplies direct from local farmers, who deliver produce and meats in the backs of beat-up pickups and vans, unloading crates overflowing with fresh produce mere hours after they’ve been harvested from the fields." 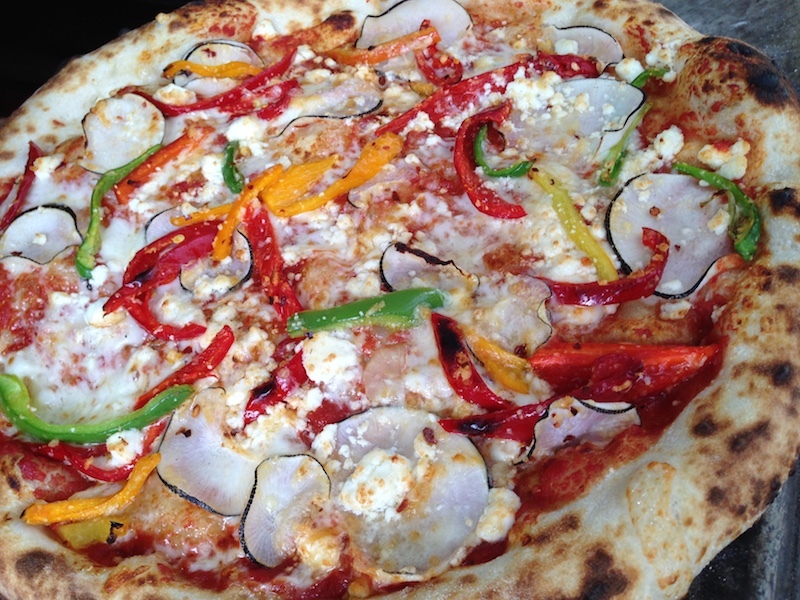 One look at owner Sarah Minnick’s pizzas will tell you instantly that this chef is serious about farm-fresh produce. 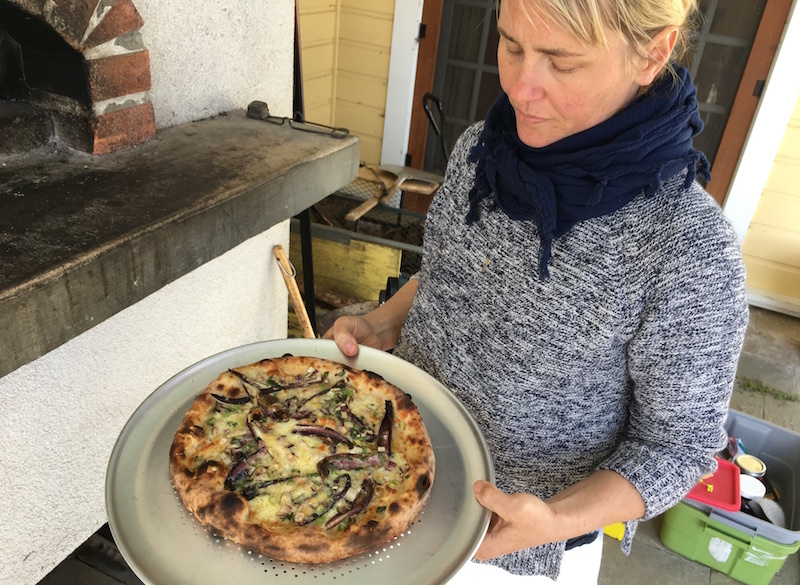 Her pizzas are pictures of crave-worthy perfection—circular works of art brimming with local greens, cheeses and a sauce from tomatoes harvested at the peak of their flavor, preserved so her customers can taste summer even deep in a Northwest winter. You’ll see unusual ingredients like summer squash, quinoa greens, potatoes and local cured meats adorning her pies, in addition to the occasional drizzle of honey from Bee Local, a Portland company whose hives are scattered around the state, taking their flavors from flowers wild and domesticated. Not unlike Sarah herself, who buzzes around local farms and farmers’ markets collecting ingredients like a honeybee collects pollen. 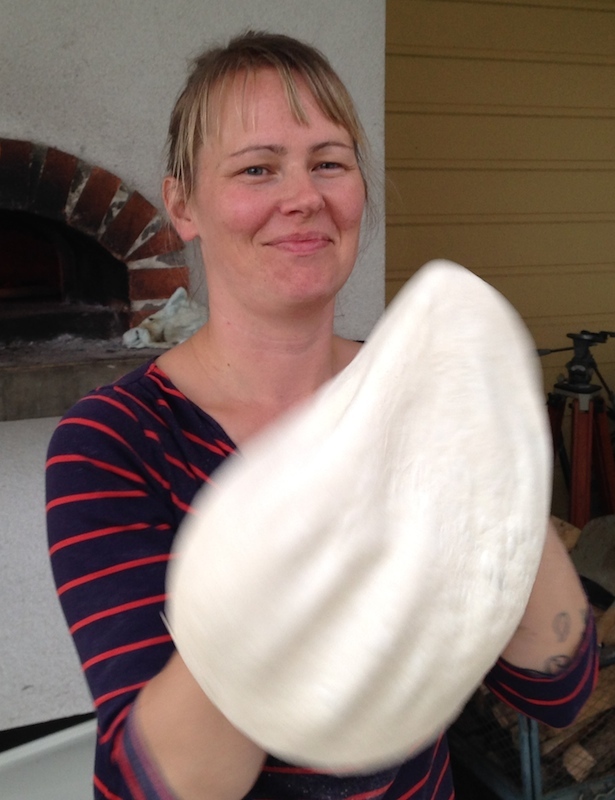 Dig a little deeper and you’ll find her handmade pizza dough is made from the whole grains and artisan flours of Camas Country Mill in the central Willamette Valley and organic flour from employee-owned Central Milling in Utah. And she sources the organic custard base for her extraordinary ice cream from Strauss Family Creamery, adding berries and fruit from area farms, along with more exotic flavorings from the leaves of peach, fig and bay. Looking at her accounts from last year, Minnick said she was able to purchase nearly 90 percent of her ingredients from local sources [now more than 98 percent - KB]. 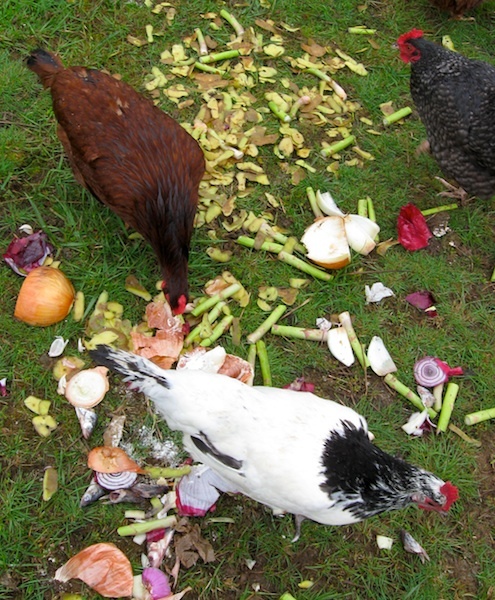 While that may sound like a foolish way to run a small business, if you ask about the economics of buying direct from farmers versus large distributors, she said that the cost works out to be pretty much the same, since farmers are much more careful about the quality of their produce, meaning it’s less work to prep and less of it ends up in the compost. 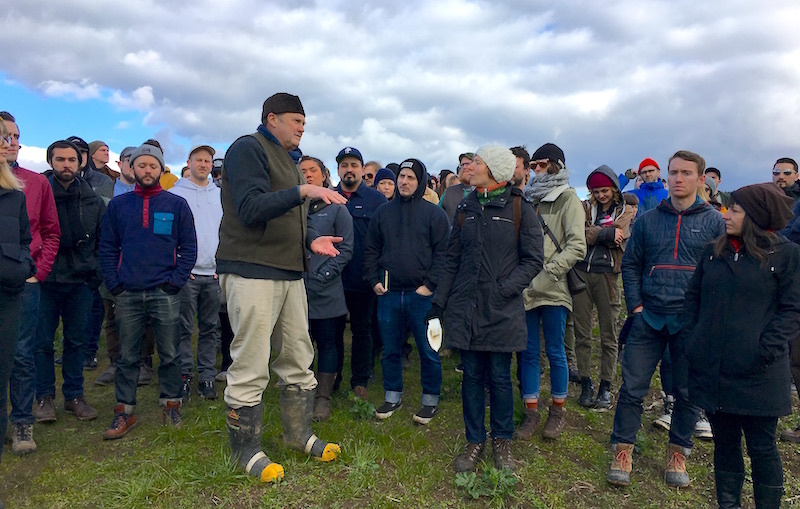 She’s thrilled to be working directly with farmers, "actually knowing who is growing it and why and how," and finds the enthusiasm of some of Oregon’s younger farmers infectious. "They don’t have a lot of the weird old baggage," she said of their eagerness to try growing new crops. And after three years of running the kitchen at Lovely’s? "I’m addicted to it," she said. "I love coming into work." 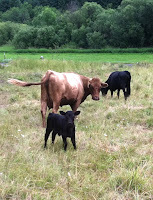 Photos from an event at Ayers Creek Farm. 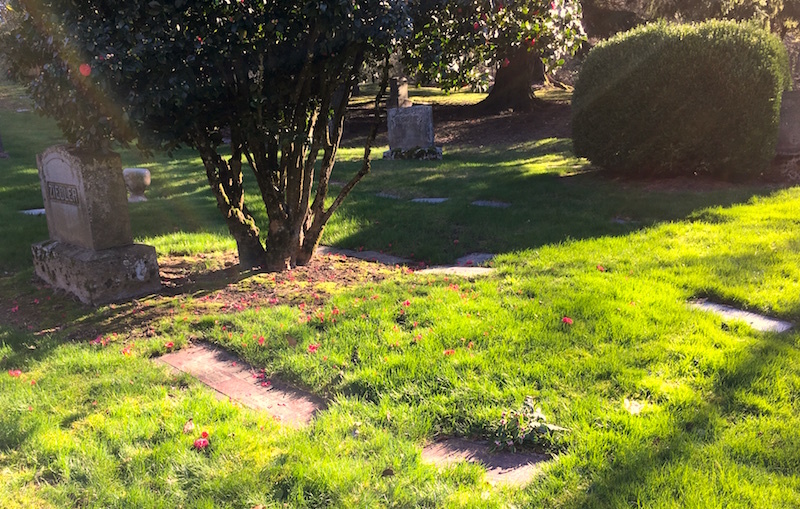 Walking among the gravestones at the top of Portland's Mount Scott on a cold and sunny winter's day, I grasped a small bouquet of daphne, sword ferns and a sprig of Oregon grape with tiny bright green blossoms just beginning to form. 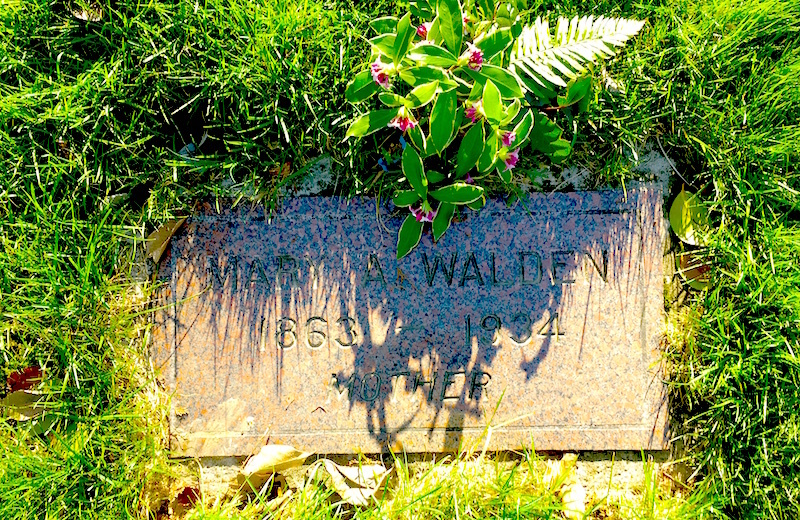 I thought it was an appropriate memento to leave at the grave of my great-grandmother, Mary Alice Beebe Walden, whom I'd always heard was an herbalist and midwife in the tiny town of Bridal Veil in the Columbia River Gorge. I'd found the record of her burial while searching for her name online. Driving to the cemetery, I picked up a map from the office that gave an approximate location, a plot in the older section of the vast hilltop property. The map placed her grave at the bottom of the hill, where the roots of old trees were lifting up some of the markers and other gravestones were partially obscured by mud that had washed down the hill in the winter's rains. Triangulating the general position of the plot, a bit of wandering brought me to a small, flat slab of rose-colored granite with Mary A. Walden, 1863-1934, carved into it, and the word MOTHER in italicized type underneath. [From the family records I have, she actually died in 1933.] I'm guessing that her son, Carson (or Carsie, as he was called by the family), had chosen this place for her, since a gravestone with his and his wife's names on it was nearby (top photo). "Nature was her religion. 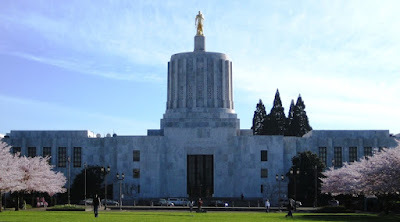 While my grandfather lived, the family attended church faithfully, but after his death, the dome of the sky and the pillars of living trees became their cathedral. 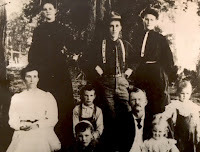 "Extraordinarily tall for her generation, Grandma carried herself tall and proud, as the Indian Princess we children were convinced had been her ancestress. Her blue-back course hair, piercing black eyes, dark sallow skin and high, hawk-nosed profile were considered [signs of] aristocratic beauty when she was young. She was slim, lithe-limbed, deep bosomed and untiring. On the long hikes through her beloved wilderness, her swinging, slightly pigeon-toed gait carried her on for hours, long past the endurance of the most seasoned of woodsmen. "There were no plants, insects, animals or birds for which Grandma didn’t know both the common and Latin names. From her early years, she would often disappear for hours and, in later years, for days at a time into the wilds. When she emerged it was always with an apron or bark basket full of herbs and medicinal plants. We never knew where she learned the medicinal lore that made her healing powers famous wherever she lived." 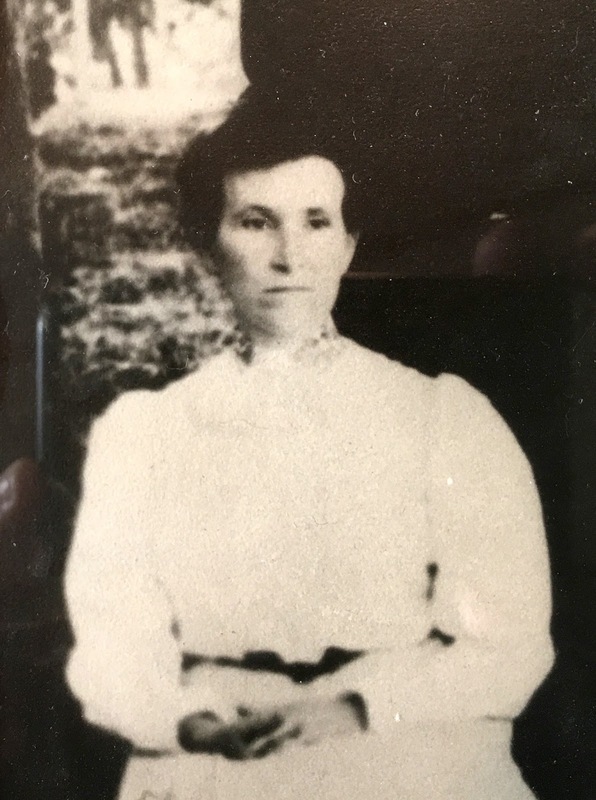 "In the late summer of 1932, she caught a bus up to the slope of Larch Mountain after arranging for my Mother and Father to pick her up later in the day. About five o’clock, we saw her swinging down the trail, her buckskin skirt and hiking boots soaked through from the showers that had fallen that day. Her floppy felt hat was pushed back on her head, an improvised sapling yoke over her shoulders weighted down with huckleberries in peeled bark baskets. She sang and hallooed to us, her face and hands purple with berry stains. "Two weeks later, she collapsed and was taken unwillingly to the hospital, where the cancer was diagnosed as beyond remedy. The hospital was not to her liking and the doctors agreed that she would be happiest at home, nursed by her daughters. She died on December 17th. "As a final gesture, she left instructions that at her funeral the hymns were to be joyous ones. She was to be dressed in the pastel violet gown she had chosen years before as her shroud, and anyone wearing black was not to be admitted to the chapel."